Chris was the top bidder for a South African wine tasting for ten at our house from the Alexandra house Hope Gala last March. We are not experienced with wines from that part of the world so I was looking forward to it. I was also a little apprehensive not knowing the wines but also looking forward to the experience. Selecting the friends for the small tasting was difficult because we have numerous friends who all enjoy wine! We ended up choosing people who all had also contributed in some way to Alexandra House, even with donations for attending the gala. Once the guest list was complete, Chris had to work with Dianne for selections that were to be paired with the wines. Diane was one of the hosts as an owner of the South African wine importer (Zwines USA) company that donated the tasting. Our tasting event was held on a Friday night at our home. Our hosts Roy and Dianne arrived around fifteen minutes before everyone else. We experienced twelve wines that night and were all pleasantly surprised by the quality of the wines! What really struck many of us was the reasonable prices of the wines. I was so pleased that I decided to include a couple bottles of South African wines during an upcoming wine dinner that we co-hosted with our Financial Adviser at his new office. One of the wines Roy suggested for the other wine dinner was this Wild Yeast Chardonnay. I was intrigued with a Wild Yeast Chardonnay and could not wait to try it. Wild yeast fermentation’s are not exactly easy to conduct. This process can provide off flavors and the wild yeasts are not tolerant to high alcohol for starters, so the winemaker has to know what he is doing. This one did! Pale color depth, green hue. The Chardonnay was aromatic, young-fruity. I noted ripe melon, citrus, and honey. One person at the tasting thought they tasted grapefruit, but I did not. The white wine was not dry and it was medium-bodied with lively acidity. There were no noticeable tannins. Tasting the Chardonnay we had a very flavorful buttery mid-palate finish. Harvested at night, February 2011 tank fermented with native yeast, 60 days alcoholic fermentation, 100% malolactic fermentation was allowed naturally 13 months on the lees (dead yeast). 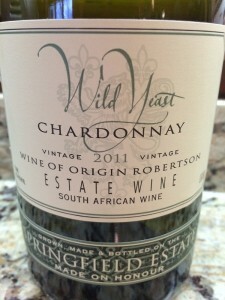 The 2011 Springfield Estate Wild Yeast Chardonnay is regarded as one of the best Chardonnay’s produced in South Africa. It won the award for Best of Show Imported White at the Twin Cities Food and Wine Show in March 2014. Another interesting fact. 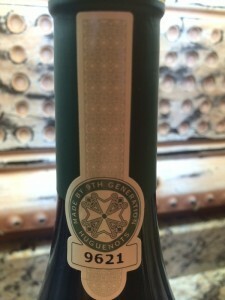 The label below on the top part of the neck of the bottle notes: the wine is made by the ninth generation Huguenots. 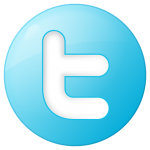 The Huguenots were French Calvinists who, due to their beliefs were persecuted in France but were accepted by the Dutch. The first group of Huguenots arrived at the Cape in 1688. The estate and wines are owned by the Bruère family, fourth-generation wine farmers and ninth-generation descendants of the Bruères, French Huguenots who came to South Africa from the Loire in 1688 with bundles of vines under their arms. 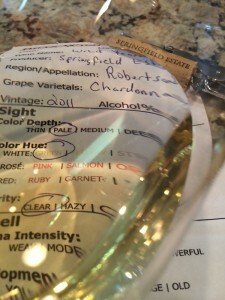 I rated the 2011 Springfield Estate Wild Yeast Chardonnay three glasses. I plan on searching for more South African wines moving forward. I now would like to make a trip to South African wine country the winter of 2016 or 2017.